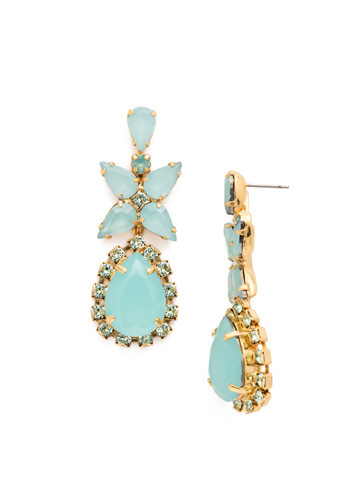 It's all about the statement earring! These posy posts appear to be blooming right off your ears. Four pear shaped crystals above a decorated teardrop gem create the illusion of flower petals.